Marketplaces and prices shown matched UPC number 040094633913 during our search. 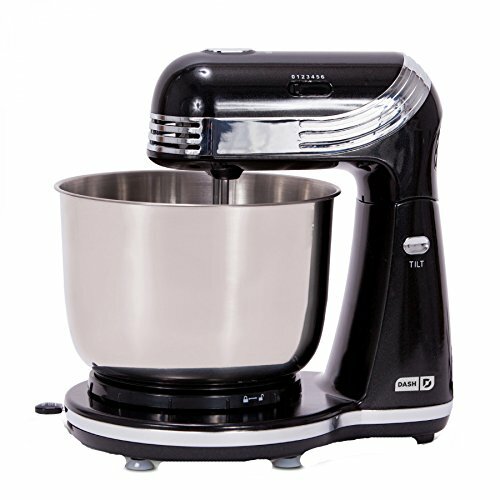 Same mixing action as KitchenAid stand mixers . this mixer performs better than 2-beater stand mixers, and features the popular tilt-up head design for adding ingredients and changing attachments quickly. Complete bowl coverage - no scraping necessary. Mix hands-free with excellent results every time. Planetary mixing rotates the beaters around the 4 quart, stainless steel bowl, for even and complete mixing. Mix pizza and cookie dough with ease. Effortlessly mix Thick batters and doughs like breads, cookies and more with a powerful, 300 watt motor. Splash guard, dough hook, whisk and flat beater included. For more mixing versatility. 7 speeds & mixing guide. Go from a slow stir to a fast mix, with exact control at each one. A helpful guide at the mixer's top lets you know which speed to use for various mixing methods. This Hamilton Beach Stand Mixer can do everything from whip delicate meringues to mix sticky pizza dough. It has the same rotating mixing action as KitchenAid stand mixers* - which means complete bowl coverage with no scraping necessary. A tilt-up head lets you add ingredients and change attachments quickly. 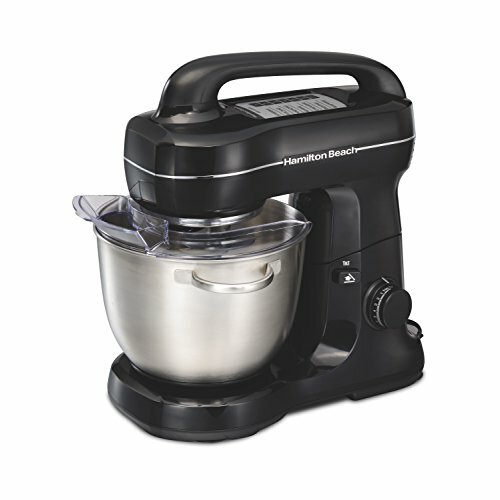 Built for a variety of batters and mixes, this Hamilton Beach Stand Mixer can do everything from whip delicate meringues to mix sticky bread dough. The powerful 300 watt motor can handle the thickest of ingredients, including those peanut butter chocolate chip cookies your family devours. And the best part is, you never have to scrape the bowl or hand-mix at the end - the planetary mixing action rotates the beaters around the entire bowl, for even and complete mixing. 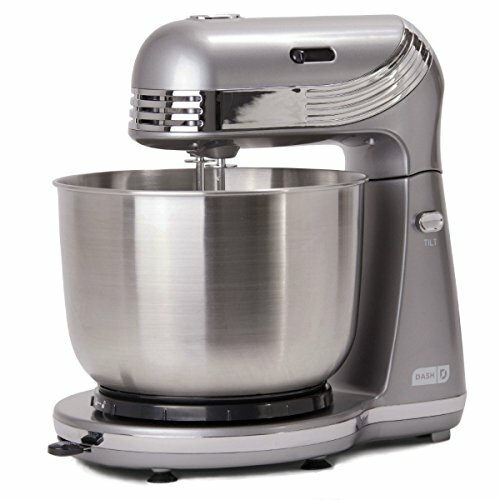 This stand mixer from Hamilton Beach(R) for every home baker. It provides enough power to mix even the most difficult ingredients and a professional-quality double direction rotation. The tilt-up head rotates the bowl while the whisks turn in the opposite direction. 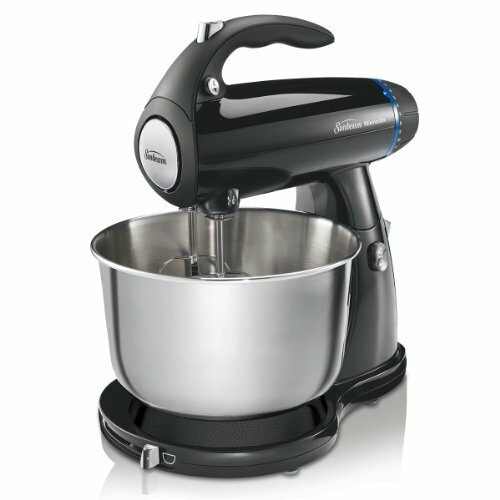 The large 4-l mixing bowl provides a complete coverage for hands-free mixing. The large top handle gives you a better grip for easy transportation and storage. A nonstick dough hook, a whisk, a flat beater and a splatter shield are included. Every part, including the mixing bowl are dishwasher safe. This product is backed by a 5-year warranty.